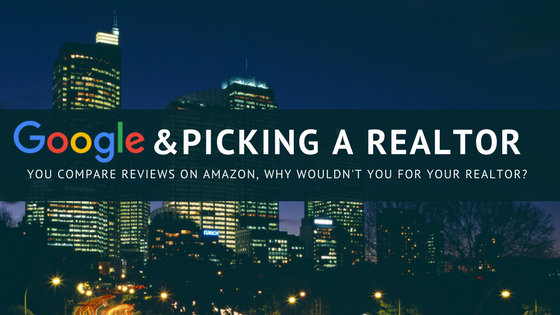 If you are anything like me you rely heavily on, and place a significant amount of value in, reading customer reviews of products before purchasing them. And if I am so intent on reading each and every review of the 3 different toasters I am trying to decide between on Amazon, why wouldn’t I do the exact same when I am trying to find a Realtor to sell my home? Just because my friend’s son is a Realtor, does it mean I have to use him? Surely all Realtors are not the same, and simply being a Realtor does not mean you know anything about effectively marketing a home in order that it sells for the highest amount. Don’t I owe it to myself to spend more time shopping around for Realtors than the time I spent reviewing a $22 toaster? (which had better reviews than the cheaper looking, more expensive $24 toaster I might add) I digress. Here at RE/MAX Advanced Realty, we pride ourselves on marketing your home in the most effective and proficient manner. Posting a home to sites such as Zillow and Trulia is one of the basic steps in selling a home, but our marketing efforts dig much deeper than the simple act of publishing your home to multiple sites. We take our customer reviews seriously, which is why we place such emphasis and importance on our ratings on Google, Zillow, and other innumerable platforms. We encourage you to read our reviews and compare us with other Realtors. If their reviews are better, by all means choose them, but we have a feelings they won’t be. We look forward to working with you, and whether you are Buying or Selling, The Indy Home Pros Team at RE/MAX Advanced Realty can match you with the best Realtor for you. Have questions, comments, concerns? Ready to talk to a Realtor? Contact us today at 317.298.0961! You can also visit www.indyhomepros.com to find more info on our Indy Home Pros Team Realtors!